On this page, you'll find everything you need to learn Italian from scratch. and recommended Italian resources with you. 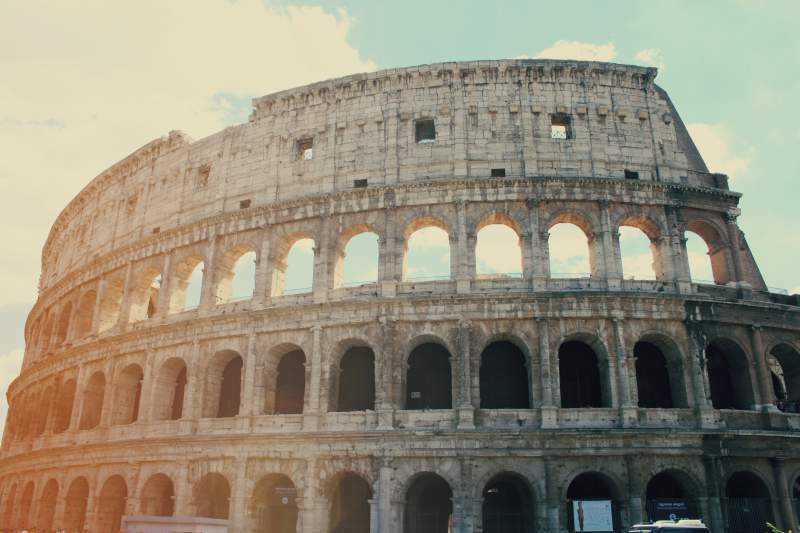 Learning Italian is one of the most rewarding adventures you can embark on. Not only that, but studies show that the language-learning process sharpens your memory, helps you adapt to new situations more quickly, and even broadens your attention span. Better yet, it opens up a new part of the world to you, together with the possibility of friendships and relationships you might never otherwise have. Learning Italian is one of the best decisions you will ever make. Italian was the second foreign language I learnt and since then I’ve gone on to successfully learn 7 more. At first, I was completely lost. But soon I started to pick up on the patterns of the language and figure out how to make myself understood. In this post, I’m going to reveal everything I discovered about how to learn Italian as a beginner. So, rather than trying to figure it all out yourself, take the time to read this post and learn from my mistakes! What Are The Key Features Of Italian? What Do I Need to Know About Italian Culture? How Can I Learn Italian Verb Conjugations? What’s The Best Way To Best Way To Become Fluent In Italian? What Are The Best Resources For Learning Italian? I’ll start by telling you about the fundamental aspects of the Italian language and its culture. Then I'll look at one of the major challenges faced by all beginner Italian learners - verbs. Finally, I’ll finish with my recommended action steps to help you learn to speak Italian quickly. When you tell your friends you want to learn Italian, you might finding yourself fielding a few questions. It's a fair question. While Italian is still a very useful language in international business, admittedly, it's not as widely used as languages like Spanish and Chinese are. But there are still plenty of good reasons to learn Italian. Over 65 million people speak Italian as their primary language. Most of them are located in Italy, but there are smaller Italian-speaking populations in Switzerland, Croatia, Slovenia, Romania, and Bosnia and Herzegovina too. 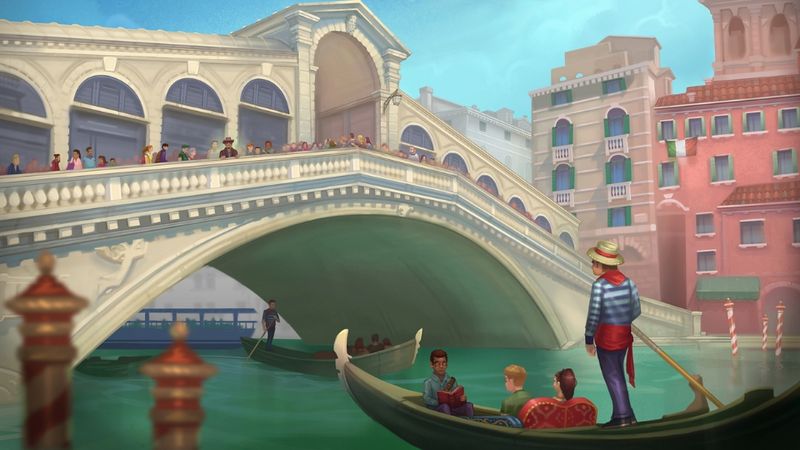 And in big cities around the world, you'll also find plenty of Italian speakers and active Italian cultural groups to connect with. Italian Sounds Beautiful: It may seem like a shallow reason to learn a language, but Italian is a beautiful sounding language. And if you're going to learn it, you'll have to listen to it a lot! Simple sentences in Italian can sound incredibly musical. Many language-learners are drawn to Italian because of its rhythm and melody so it's no wonder Italian is often called the language of love and the language of seduction. Learning Italian Will Make Learning Other languages Easier: Once you learn a foreign language, your brain starts to make new linguistic connections. Learning any subsequent language, especially another Romance language, will be significantly easier once you have mastered Italian. When studying Romance languages, you will already know many of the words’ roots and the basic grammar structures. 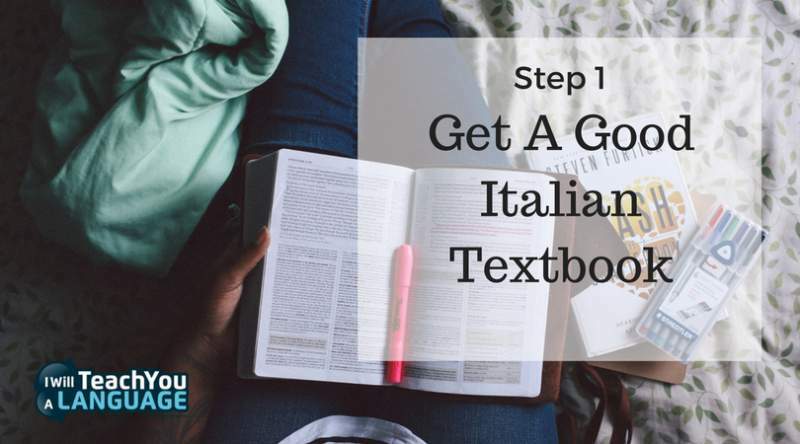 But even if you study a language that has next to nothing in common with Italian, you’ll still find it easier because of the new neural pathways and connections that learning your first foreign language opens up for you. If You Speak Italian, You Can Have More Authentic Experiences When Traveling In Italy: Perhaps most importantly, you should learn Italian if you want to travel to Italy. 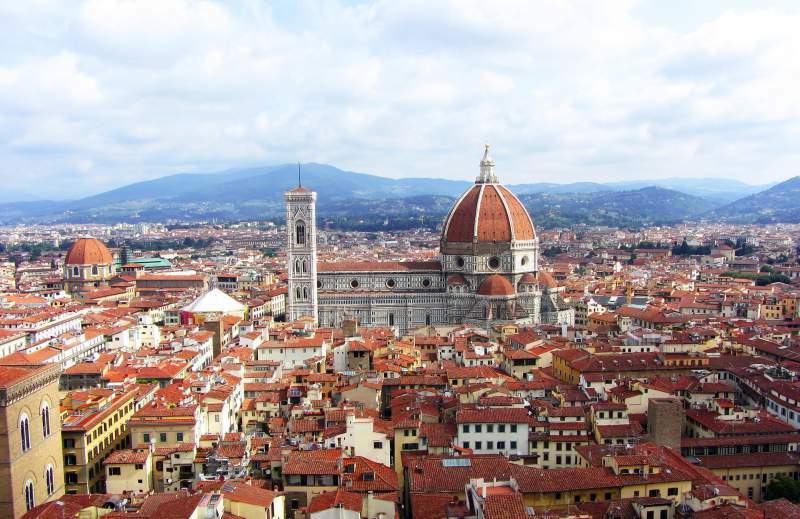 Many travellers dream of seeing Rome, Naples, Milan, and Florence. But you can’t fully appreciate Italy without seeing the smaller towns, too: the areas off the beaten track, where most tourists don’t take the time to go. 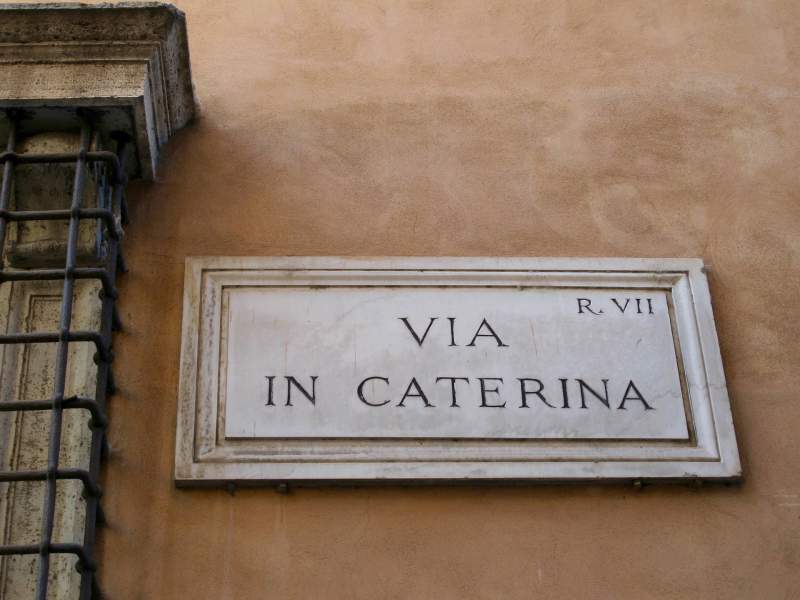 In the more touristic parts of Italy, an English-speaker can get by with minimal Italian. The Italians employed in restaurants and hotels tend to speak English to a relatively a decent level. Those who do not work in tourism, however, speak minimal English. This will come as a surprise to some seasoned travellers, because in so many parts of Europe – Scandinavian countries in particular – most people speak English almost flawlessly. Italy is different. Students do learn some English in school, but overall, confident English speakers are not that common. So, if you want to have meaningful conversations with real Italians, your best bet is to learn Italian! Like French, Romanian, Spanish, Portuguese, and many other smaller languages, Italian is a Romance language. These languages all originate from Latin, the language spoken long ago in Ancient Rome and they all have a lot in common. That means that if you have any experience with one of the other Romance languages, you’ve got a head start with Italian. One of the most interesting things about modern day Italian is how it came to exist at all. Italy is a relatively newly unified country by European standards. Before all the regions of Italy were unified in the 19th Century, people in different areas spoke vastly different dialects. (Note: A dialect is a variation of a language spoken in a particular place, for example in England, people speak British English, whereas, in Ireland, they speak a slightly different dialect with their own unique local phrases and slang). Many of the Italian dialects still remain today, especially among older generations. However, in 19th Century Italy, these dialects were so different that a person from Naples, in the South, sometimes wouldn’t even have been able to communicate with a person from Venice, in the North. So, when the regions were unified, it was decided that there needed to be an official Italian language, which would be taught in schools and used in government, and ideally would also eventually be used in daily life. But which region’s dialect would be chosen as the 'official Italian'? After much debate, the country decided that the most beautiful and perfect Italian was that used by the famous poet Dante Alighieri in the late Middle Ages. And so modern, standard Italian is largely based on Dante’s Italian. It is spoken in every corner of Italy as the primary tongue, even where people still use their own dialects in their day-to-day lives. To give you some perspective on how incredible this is, imagine if someone decided that all the different accents English-speakers have are too varied, so we should all speak Shakespeare’s English! It goes to show what an incredible, fascinating, and downright crazy place Italy can be sometimes. Now, let's look at some of the fundamental parts of the Italian language. We'll start with a concept that you might recognize if you studied a foreign language in school: word gender. In Italian, just like in French, Spanish or German, all nouns have a gender - masculine or feminine. This means that every time you learn a new word in Italian, you'll also need to learn the gender of that word. Sometimes the gender of a noun can even be counterintuitive, although it isn't that common. For example, ‘masculinity’ (la mascolinità) and ‘virility’ (la virilità) are actually both feminine nouns in Italian! The articles that go with each noun in Italian also depends on the gender of the word. un and il go with masculine nouns. Most of the time there is no rhyme or reason to which nouns are masculine and which are feminine. You just have to take note and memorize them as you go. But don’t worry! It’s not as hard as it sounds. As you start to build your vocabulary, you’ll quickly notice some patterns and shortcuts that help you. For example, in Italian, almost all nouns end with an a or an o. Words that don't end in one of these two letters are words that have been adopted into Italian from other languages. Once you notice this pattern, you'll see that there is an easy way to determine the gender of most words. However, these exceptions are few and far between, so you’ll be safe with the 'a/o rule' the vast majority of the time. However, in Italian, there are other changes, depending on who carries out the action. This process is called conjugation. Italian verb tenses are a little different from English, too, but this isn't too difficult once you get the hang of it. Something that was true for an extended period of time or that happened regularly. English has lots of different ways express these things, whereas, in Italian, the rules are more specific. This can seem confusing at first but it's actually much simpler than in English. It’s different, but you'll become accustomed to the Italian tenses very quickly as you practice. In fact, it’s probably much easier for English speakers to master Italian tenses than it is for Italian speakers to get to grips with the complicated tense system in English. It's also worth mentioning that the use of the subjunctive is common in Italian. If Italian is your first foreign language, this problem sounds like something strange and intimidating, but we actually have the subjunctive in English too. The difference is that the subjunctive has almost died out in English and is only present in expressions like “God Save the Queen” (not “God saves the Queen”) or “It is important that you be on time” (not “are on time”). In Italian, unlike in English, the subjunctive forms of verbs are often different from the normal (indicative) forms. There are different conjugations for subjunctive present, imperfect, past, and pluperfect. As with other verb conjugations, the endings depend on whether the infinitive form of the verb ends in –are, -ere, or -ire. The subjunctive is essentially one more set of conjugations to memorize, but once you get the hang of it, it allows you to express things that are otherwise difficult to say. In a nutshell, the subjunctive, (or congiuntivo in Italian), expresses possibility. It is the form for phrasing feelings – doubt, uncertainty, hopes, desires, and suggestions. The subjunctive is one of the more complicated parts of Italian, but you’ll be happy to find out that the next element of Italian - pronunciation - is really easy! Italian is completely phonetic, so once you learn a few rules, you’ll be able to easily pronounce any word you see written down. The first rule of Italian pronunciation is to pronounce every letter. There are no silent letters to throw you for a loop like there are with French! One of the key letters to focus on as a beginner in Italian is the letter 'c' which works a little differently than in English. In Italian, the letter c followed by a vowel makes what English speakers think of as a “ch” sound (like in the English word 'cheese'). On the other hand, when an h follows a c, like in the word chiaro (clear), it makes a hard 'k' sound. 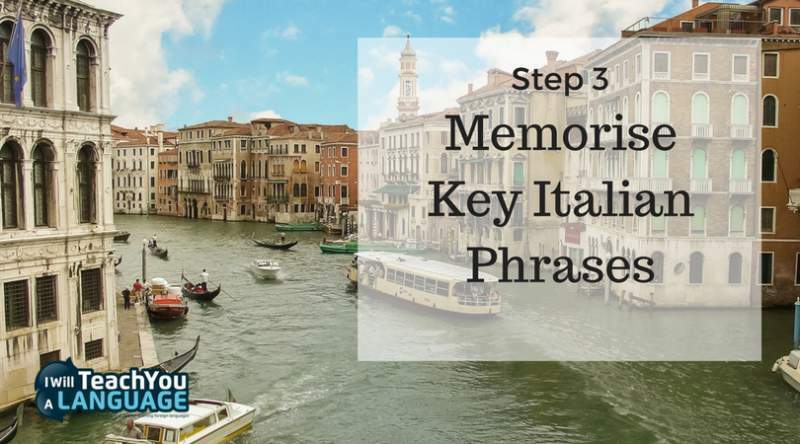 Once you get the hang of these key sounds, you’re all set with Italian pronunciation. You'll be able to accurately pronounce almost any word you see written down, right from the beginning! For this reason, spelling is also quite straightforward. Armed with the same knowledge you used to master pronunciation, you’ll be able to flawlessly spell any word you hear spoken. See? Not difficile at all! 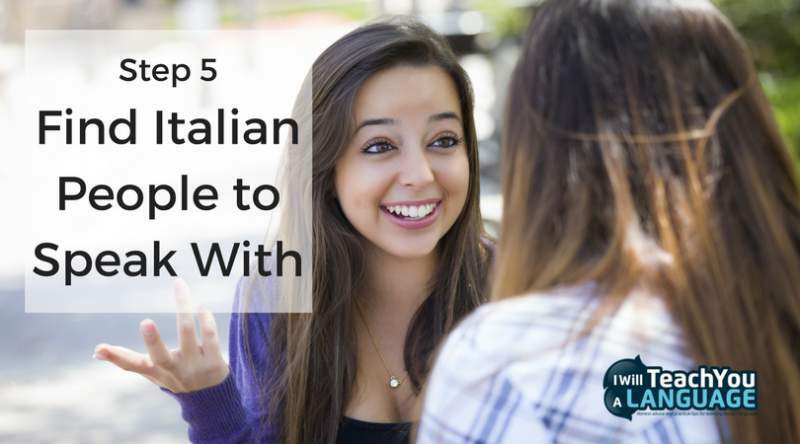 Obviously, being able to spell Italian words and pronounce them correctly is a big step towards mastering the Italian language, so that fact that you can get the hang of this so quickly is a major head start! Believe it or not, you’ve made it through the hardest sections of learning Italian - the fundamentals! Now for the fun part – getting to know a little more about Italian culture! What do you think of when you imagine Italy, that boot-shaped country jutting its heel into the Mediterranean? Perhaps you picture rolling Tuscan hills and valleys full of olive trees, ready to be harvested? Maybe you picture the olive oil that comes from those olive groves drizzled onto fresh dough and baked into a delicious pizza? Maybe you picture an old Italian nonna preparing homemade pasta? 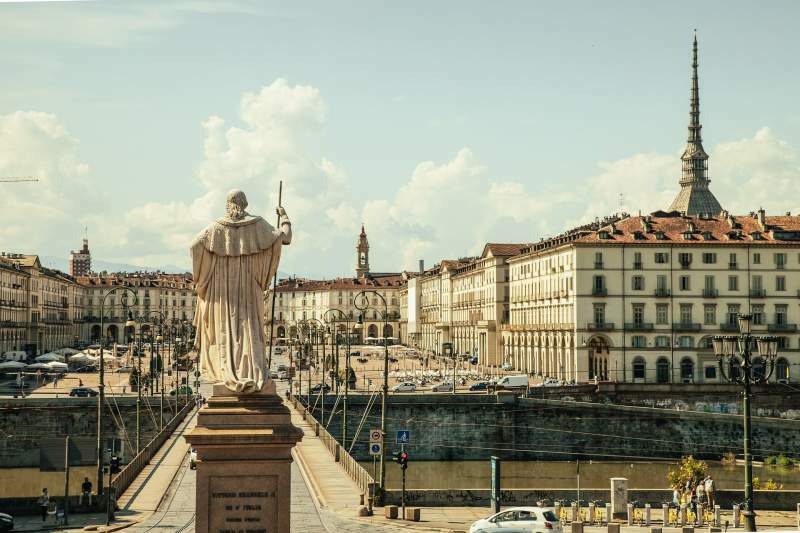 Or perhaps your mind goes straight to the famous Italian monuments - the Duomo in Florence, or Teatro alla Scala opera house in Milan? 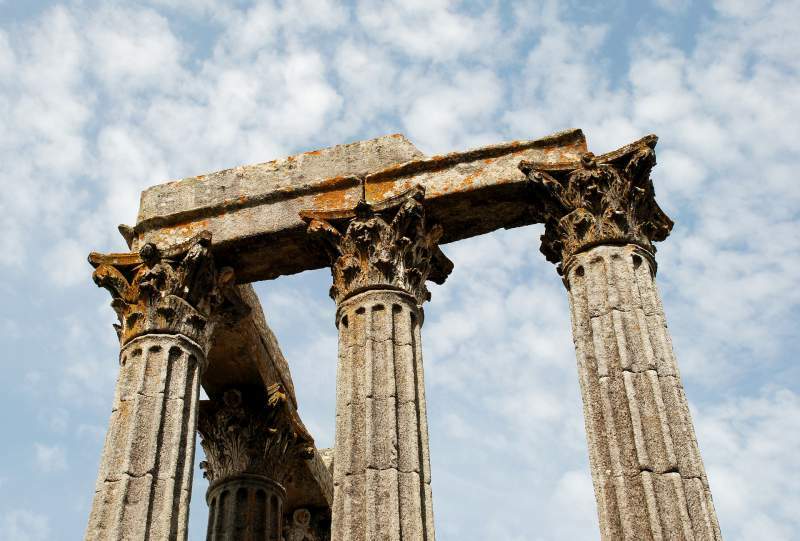 The Colosseum, Saint Peter’s Basilica, the Leaning Tower of Pisa, the canals of Venice or the ruins of Pompeii? The list is never-ending. But beyond the stereotypes that come to mind when we think of Italy, there is an amazing culture unlike any other in the world. 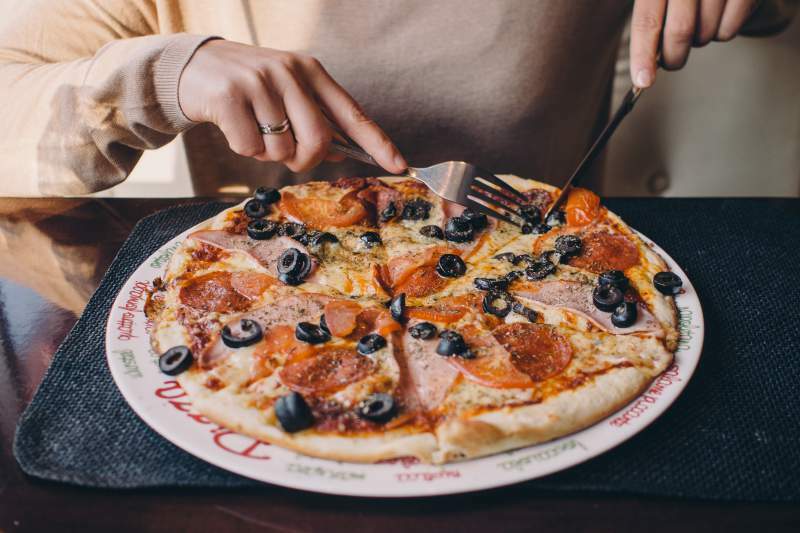 There’s no denying it: the stereotype is true - pizza and pasta dominate Italian cuisine. There’s more to the story, though, so let’s look a little deeper. Primo piatto – The is the first course and it's traditionally pasta or risotto. You will almost never encounter pasta served in meat sauce in Italy. There is typically not any meat until the second main course. Secondo piatto – The second course in Italy is the meat dish. Meat or fish is prepared in a wide variety of ways, depending on the region of Italy or the preferences of the chef. Additionally, you can expect to be offered antipasti (starters like bruschetta), contorni (sides, usually vegetable-based), and dolce (dessert). An Italian meal usually ends with a caffè (a shot of strong espresso) or a digestivo, which is an alcoholic drink like grappa or limoncello to aid in digestion. You’ll also find that the different regions of Italy all have their own very distinctive cuisines. The stereotypical Italian style is closer to Southern Italian cuisine. The style in the North of Italy is still undeniably Italian, but it takes a lot of inspiration from French cooking, which makes sense given that it’s geographically closer to France. Northern Italian cooking uses more butter while Southern Italian cooking uses more olive oil. Pizza originates from Napoli (Naples), which is in the South. Different regions also have different specialities. Often the specialities feature ingredients that are specific to the region. In Lombardia (Lombardy), you'll find gli gnocchi al Gorgonzola, while in Sicilia (Sicily) you can try spaghetti al nero di seppia (squid ink spaghetti). Since the early days of cinema, Italian filmmakers have been considered some of the most innovative in the world. After World War II, Italian movie makers developed a new genre referred to as Neoclassicism. These were politically-charged films that touched on the post-war poverty Italy was facing at the time. On a more lighthearted note, as you may have already known from the name, Spaghetti Westerns were an important part of Italian cinematic history. They were popular in the 1960s are they're basically over-the-top Westerns embellished by Italian creativity and exaggeration. They were typically dubbed into English to give them broader international appeal. 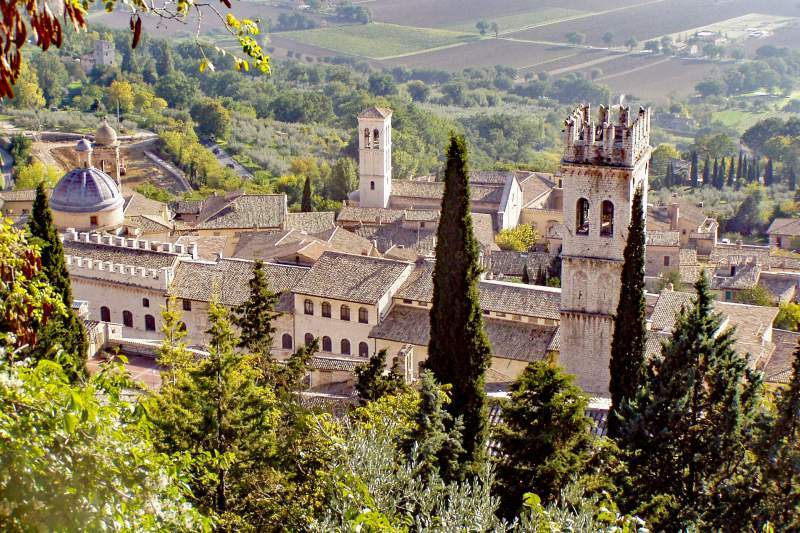 Italy is, without a doubt, one of the most historically rich regions in the world. It has seen prosperity and destruction, beauty and terror, and the rise and fall of great civilizations. Every city and village has its own fascinating story spanning centuries. 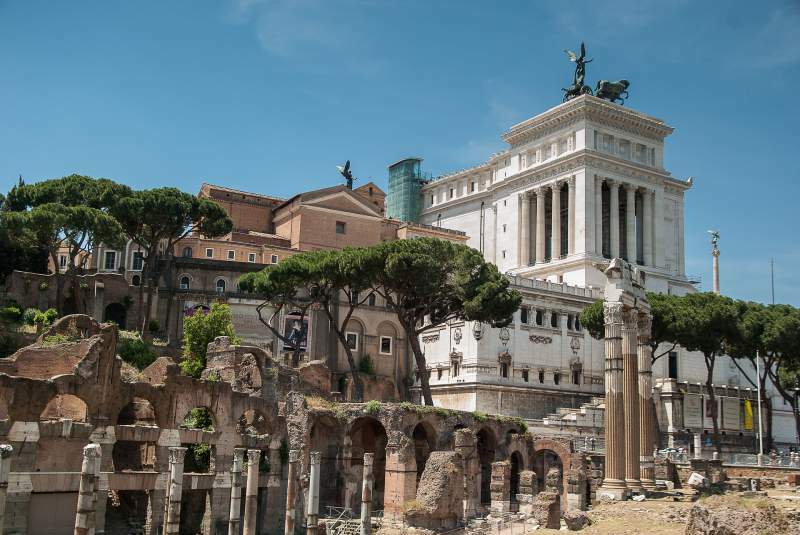 Whether you’re interested in recent history or ancient history, Italy has something for you to explore. History is full of fascinating stories, on the world stage and in the local town square. 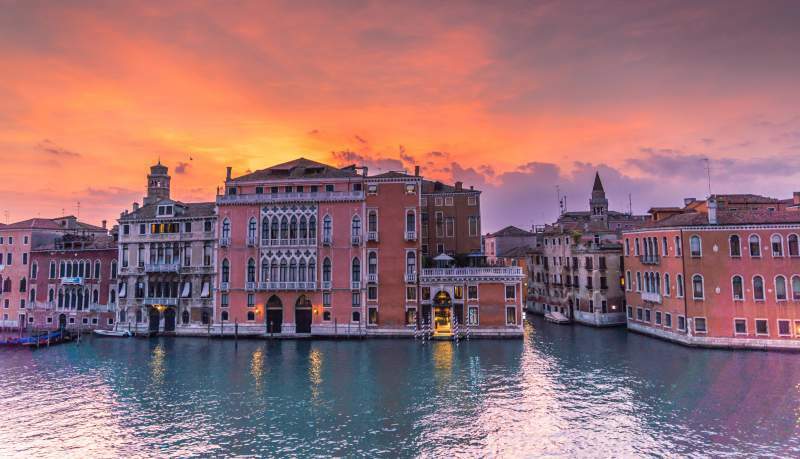 Spend a little time in Italy and you might be surprised at how willing the locals are to share their stories about life, death and the history of their villages and towns. Even if you’ve never taken a course or read a book about Art History, you probably already know what a huge role Italy has played in the creation of art as we know it today. Many of the most iconic and recognisable paintings in the world are of Italian origin and Renaissance Italian art is especially popular. Even if you are not familiar with the history of art, an afternoon at the Uffizi Gallery in Florence admiring the work of Da Vinci, Botticelli, and Michelangelo is not to be missed. Italian sculpture is as impressive as Italian painting. You will be astonished by the towering, incredibly realistic statues that Italian sculptors have brought to life from local marble. Modern Italians take great pride in the artistic prowess of their forefathers and art history is an essential part of the Italian liceo (high school) curriculum.This means most people in Italy are quite knowledgeable about the artistic treasures their country holds and it's a great topic to chat about with them. This means most people in Italy are quite knowledgeable about the artistic treasures their country holds and it's a great topic to chat about with them. The key to fully appreciating all that Italian culture has to offer is learning the Italian language. Of course, it’s possible to understand and appreciate it without learning the language (and many people do), but speaking Italian is necessary for befriending and communicating with Italian people, for reading documents and watching films in their original form, and for feeling at ease when travelling in Italy. It's not that you can't appreciate Italian culture if you don't speak Italian, but once you've learned the language you'll certainly be able to enjoy and appreciate it much more. It's easy to assume that learning Italian will be too difficult, and never even give it a try. But actually, Italian is one of the easiest foreign languages for a native-English speaker to learn. At first, Italian may sound super-fast and completely indecipherable but don’t be intimidated. It takes time to adapt to the sounds of any new language and Italian is no different. When you first start learning Italian, it's important to listen to the language as much as possible. After a few weeks of study, you'll find that the jumble of sounds begins to untangle into words, phrases, and sentences. Italian really isn’t a hard language, and if you put your mind to it you can master it without terrible difficulty. One huge advantage you have when learning Italian is that it uses the same alphabet as English. It’s easy to take this perk for granted but really is a huge help. It eliminates a whole step of the process that you have to go through when learning languages like Japanese, Chinese or Arabic. Another of the reasons that Italian is particularly easy to learn is that everything is phonetic. Once you've learned the basic pronunciation rules (which can be done easily in an hour or less), you can accurately pronounce any word you see written down. Another thing that makes Italian relatively easy for English speakers is the number of words that the two languages share. These words are called cognates and they are the same or similar in both English and Italian. Cognates between English and Italian exist for several reasons. In some cases, words were taken from Italian and integrated directly into English, and vice-versa. Other words are similar or the same because they come from the same Latin root. As you study Italian, you'll quickly notice some patterns among English/Italian cognates, and this can help you make an educated guess about how to say certain words in Italian. There are also many other words in Italian that are the same as in English but with added vowels on the end (because in Italian it is extremely rare for words to end in consonants). What all of this means for you is that you actually already know hundreds if not thousands of words in Italian. And you get all this vocabulary for free without any memorization or study! Many learners consider Italian verb conjugation to be the most difficult and frustrating part of the learning the language. There are lots of different verb forms to learn and for this reason, verbs intimidate a lot of learners. However, this fear is truly unwarranted. I know Italian verb conjugation seems like a lot to take on, but in truth, it's just a case of mastering a few simple patterns and getting lots of practice using them in conversation. The more you practice, the more natural the verb system will seem and soon you'll be able to flawlessly conjugate verbs without thinking about it. To conjugate verbs in Italian, you simply remove the –ire, –ere or –are and replace it with the appropriate ending. The endings of the conjugated verbs will change based on the ending of the infinitive, the person or people doing the action and the verb tense, which means there's quite a lot of them to learn! There isn't really any 'magic bullet' solution when it comes to learning Italian verb conjugations. But don't worry too much, it seems more intimidating than it really is. I found it useful to make conjugation charts when I was starting out. I’d put the endings on one axis and the people/subjects on the other axis. That way, I could easily find the type of verb I was looking for and add the correct ending I needed. I also focused on paying close attention to the verb forms used in everything I read and listened to. 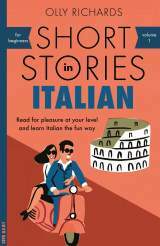 For example, if you practice by reading short stories or articles in Italian, it's a good idea to always try and notice the verbs in the text and pay attention to which endings they use. When I was learning Italian, I had a “master” chart that I kept handy as I was practising. It included all the common types of conjugations written out on one page. As I was reading or writing, I'd simply refer to this verb chart when I came across an ending I couldn't remember. Eventually, I got to the point where I could just visualize the chart if I wasn’t sure how to conjugate a certain verb while speaking or writing. And finally, I didn’t need to visualize the chart at all. With enough practice, Italian verb endings become natural and you stop thinking about them. You’ll get to the point where you just know what “sounds right” as you most likely already do in English. There are just a few irregular Italian verbs that don’t follow these patterns but luckily, they're rare enough that you can just memorize them separately without too much trouble. The reason that most learners struggle with Italian verbs is that they try to memorize everything and get frustrated and overwhelmed. But in fact, regular verbs don’t come down to a matter of intentional memorization. With enough careful attention and practice, you'll find your brain starts to remember and understand them on its own. This is because the brain recognizes patterns. Since Italian verb conjugation follows a very specific set of patterns, our brains quickly get used to them and they become second-nature. It's simply a case of reading, hearing and using the verbs enough that the patterns become obvious. From a neurological perspective, it is similar to the way our brains perceive patterns in music. Once you catch on to melodies in a piece of music, you know what sounds right and can often even predict how a song or melody will progress. The hardest foreign language you'll ever learn is your first one. If you are reading or listening in Italian, resist the urge to translate in your head and say the sentence to yourself in English. Some people say you know you’ve learned a language when you start to dream in it, and this is the very definition of not translating. Translating is an excellent skill to develop after you become fluent in a foreign language, but during the language-learning process, it will only hold you back and lead to confusion. Your goal should be to think of Italian words as words themselves, not as some code to decipher. So don’t memorize lists of random vocabulary, instead focus on choosing the words that you're most likely to use in real conversations. This way you will learn more useful words in a more organic way. A fear of making mistakes is one of your greatest enemies as a language-learner. It can be intimidating to speak a new language at first, but it’s much better to try and fail than not to try at all. In most circumstances, people will still understand you even if you make some minor mistakes. And if they don’t understand you, they’ll ask clarifying questions which expand the conversation and are great practice for you. Sometimes they'll even be kind enough to explain the mistake you made and give you pointers on how you can avoid it in the future. One of the things that new learners tend to waste the most time on is trying to find the 'perfect' resource to learn with. Don't get me wrong, finding the right materials is an important part of your learning but you still need to focus the language if you're going to make any progress. There are countless ways to learn, no matter where you are in life. So take a little time at the beginning to find something you like and enjoy using, then just get started! Focus on learning the language rather than always looking for the perfect resource – there is no 'one size fits all' solution. No matter what Italian learning materials you use, you'll need to put in the time and effort to practice and that's what will make the biggest difference to your Italian fluency. 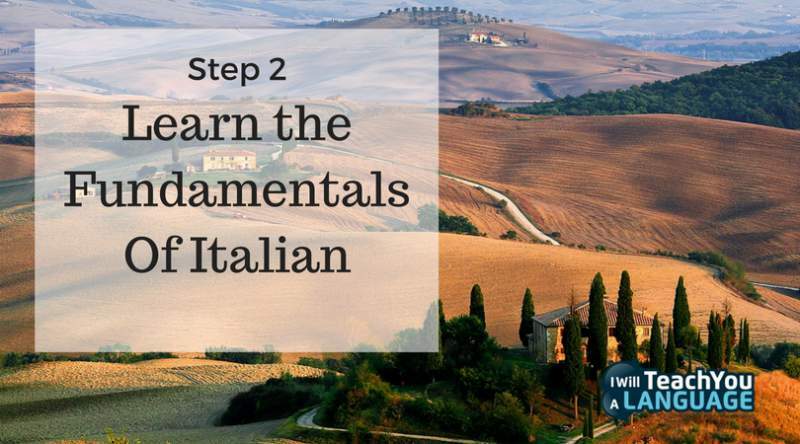 Once you’ve been learning Italian for a while, you may feel like you begin to plateau at an intermediate level before you’ve ever become truly fluent. It's simply part of the process. Don’t give up on your Italian – when you hit a plateau, it’s a sign you’re almost there. 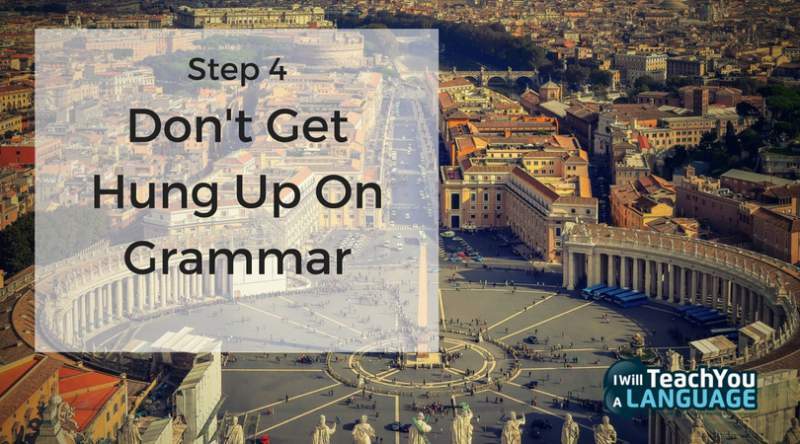 Now that you know what pitfalls to avoid, you’re ready to really get started on your path to Italian fluency. As a beginner, it's often difficult to know where to start or what you should focus on. In my experience, there are few simple shortcuts that you can take to quickstart your learning and start making progress with your Italian in a short space of time. A good textbook will help you consolidate what you have learned in your conversations or from your teacher. Textbooks are great for clarifying your understanding and teaching you the fundamentals of Italian. Take some time to find a textbook you like and will want to use. I always go to my local bookshop and take a look at the content, look and feel of the books before I buy one because I know I need to choose something that will keep my motivated to practice regularly. Don’t avoid grammar at the beginning because it intimidates you. Learn the fundamentals early on so there won’t be any gaps in your knowledge as you progress. Imagine the Italian language like a pyramid of building blocks. The fundamentals are the blocks at the bottom - the base. They might not seem as exciting as the blocks at the top, but they are the foundation and without them, the structure cannot stand. Have you ever flipped through a guidebook for an interesting destination and seen a glossary of key phrases towards the back? Key phrases are the things that you say often in daily life – everything from “hello,” and “please,” and “thank you,” to “How much does that cost?”. Learning and using these key phrases gives you a chance to put the language into action right from the very beginning. It also gets you accustomed to the way the language feels in your mouth when you speak. Try to identify the words and phrases you'll need most often in your Italian conversations, then focusing on learning these first. Grammar is, of course, important and you should give it sufficient attention, but don’t get so hung up on it that you stress yourself out or neglect to speak in case you make mistakes. Even if your grammar is poor, people will be able to understand you anyway. No one will judge you for imperfect grammar. They will be impressed and thrilled that you are making the effort to learn the language at all! And the more you use the language, the quicker your brain will start to pick up on all those tricky grammar points anyway! The more you practice speaking Italian, the quicker and more effective your learning will be. Speaking with real Italian people has benefits that cannot be reaped elsewhere. After all, the soul of a language is the people who speak it. Through conversations with Italian speakers, you'll learn Italian slang and colloquialisms that will bring the language to life. And it will help you learn how to speak Italian like in a real, natural way. You will also benefit from the real-time feedback you receive from your speaking partners. If you make mistakes, the person you are talking to can correct you and help you understand how to fix your weaknesses. Now that you’re ready to start learning Italian, these are my recommended resources to learn as quickly as possible. Italian Uncovered - Learn to speak Italian like a local and create your ideal life with my exciting new programme, Italian Uncovered, to learn Italian the right way, driven by the power of story! italki – This is my favourite website for finding teachers and affordable tutors to help practise my Italian. I use italki literally every day to get that all-important speaking practice that helps me stay fluent. Conversations - Do you struggle to understand fast, spoken Italian? 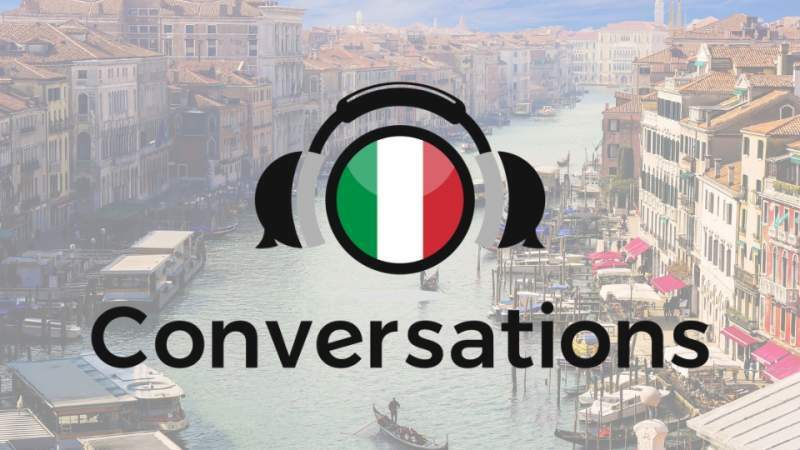 Conversations helps you understand real Italian & transform your listening skills in less than 90 days. 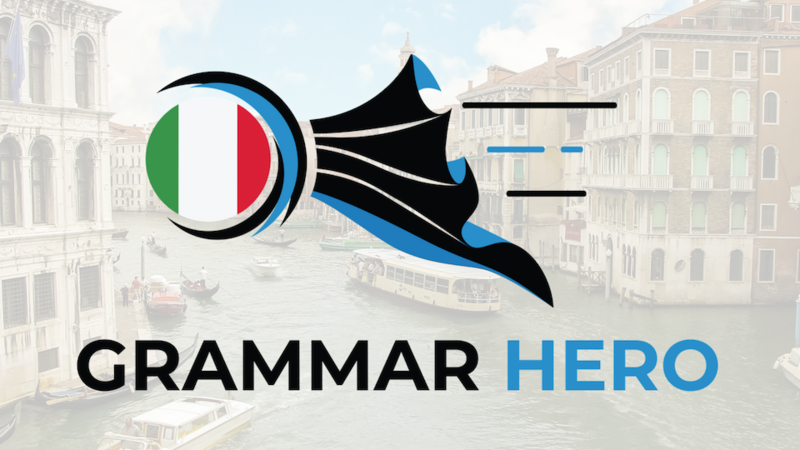 Italian Grammar Hero- Want to master Italian grammar without translating in your head or pouring over grammar books? Discover my method for learning the essentials of Italian grammar the natural way through story to become a grammar hero! Now You’re Ready To Start Learning Italian! Follow these tips and you’ll be speaking Italian in no time! All your hard work and determination will pay off big time when you're having real, life-altering conversations with Italian people you never could have communicated with before. By learning Italian, you’re learning more than just a new language. You’re learning to think about the world in a new way, you’re learning how culture plays an important role in the development of a language, and you’re opening up your mind to new possibilities and people. As anyone who has ever successfully learnt Italian can tell you, the moment you realise you are having a conversation – when you are expressing yourself confidently and can understand what people are saying to you – is an amazing feeling. My final piece of advice to you ... get started! There's no better time to start your journey to fluency in Italian than right now. With strong motivation, a clear plan and a little hard work, there's nothing that can stop you! I know this is a long post and it’s difficult to take everything in all at once. That’s why I’ve created a special PDF version of this article which you can download and refer to any time you need it! Click here to download the PDF version for free. 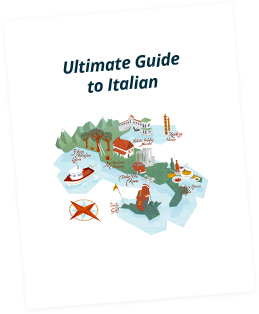 And if you download the PDF, I’ll send you even more tips to help you as you continue learning Italian. I've created a range of high-quality learning materials to help you achieve fluency in Italian, whether you're at the beginner, intermediate or advanced level.